Drive your tank and destroy everything in your way as your drive to the finish line. 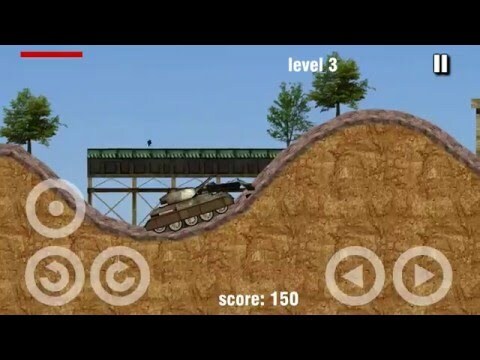 You are an army tank driver and you are bound to accomplish a set of dangerous missions.For your first task, you need to deliver the missile to the nearby battle station.It may seem like an easy task but if you are not careful enough, the missile could explode.Not only that, the road is very steep and it would be quite difficult for you to go over those slopes.Even so,you are not allowed to abort your mission.If you quit then that only means that you are not yet ready to put your life on the line. Game developed by gametornado.탱크를 골라서 마침내 드라이브로가는 길을 모두 파괴하십시오. 일부 장애물은 너무 힘들어 중장비 탱크 총으로 폭발시킬 수 있습니다! 귀하의 탱크를 운전하고 귀하의 드라이브로 마무리 라인에 모든 것을 파괴하십시오. 당신은 육군 탱크 운전사이고 위험한 임무를 완수해야합니다. 첫 번째 임무는 근처의 전투 기지에 미사일을 전달해야합니다. 쉬운 일로 보일 수 있지만, 충분히주의하지 않으면, 미사일이 폭발 할 수 있습니다. 단지 그 길은 매우 가파르므로 그 사면을 지나가는 것이 아주 어려울 것입니다. 그렇다고해도, 당신은 당신의 임무를 중단 할 수 없습니다. 그만두면 당신은 당신이 아직 인생을 바꿀 준비가되어 있지 않습니다.